Owning a classic car is the dream of millions of people around the world. But not all of them can afford a classic car. In fact classic cars are extremely high priced. Over the years, a number of cars have been sold which have amazed people with the prices they have achieved at auction. It has been observed that usually sports cars achieve the highest prices at auctions. Here’s a quick look at some of the most expensive cars sold at auctions. Ferrari seems to rule the roost when it comes to manufacturing the most sought after cars sold at public auctions. The most expensive car was privately sold. In 2013, a GTO built in 1963 was sold for a whopping US$52 million. This holds the record to date for the most expensive exchange of money for a car. This vehicle is a product of the Pontiac division of General Motors and was built from 1964 to 1974. The GTO in the name of the car stands for ‘Omologate’. It signifies that the car also has a few features, which make it akin to the sports cars. Most of the extreme car sales occurred in recent years. And most of them involved GTOs. A 1964 Ferrari 250 GTO was sold for US$32 million in February 2012. However, the record was soon exceeded for a Ferrari GTO. A few months later, another GTO, this one built in 1962, was sold for US$35 million. These were among the most expensive second hand car sales of all time. 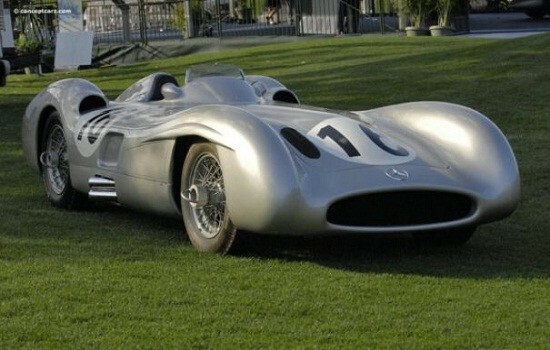 A Mercedes-Benz W196 was auctioned by Bonhams on July 12, 2013. This is a major racing model that was manufactured for the 1954 and 1955 F1 seasons. This model was one of the last racing cars manufactured by Mercedes, before they opted out of competing in F1 (until recent years). In the auction by Bonhams, the model was sold for $29,975,742. In 2011, a Ferrari 250 Testa Rossa model of 1957 exchanged hands at $17,182,830 in an auction held by Gooding and Company. This model is one of the most successful line ever built by Ferrari. It is a sports car, which has experienced immense popularity among Ferrari lovers. The price achieved bears testament to the popularity of the Ferrari 250 Testa Rossa as a classic car. In 2008, a 1961 Ferrari 250GT SWB California Spider was sold for $11,933,873. It is one of the earliest sports cars built by the company and has remained a popular vehicle among classic car enthusiasts for a long time. This Ferrari was sold in an auction held by the auction house RM Auctions. Some of the most amazing cars ever manufactured are usually sold by auction. This is expected to continue and new records are likely to be set as some of the rarest classic cars are set to change ownership through high profile public auctions.